Live in a tropical resort! 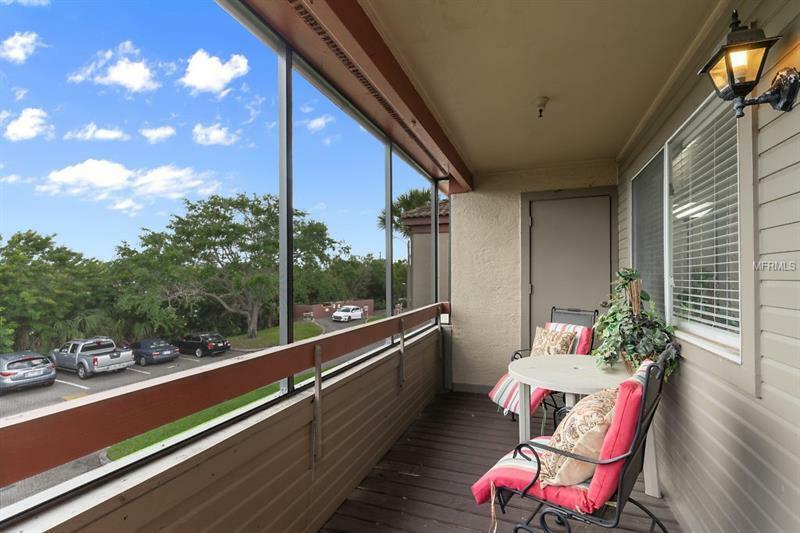 Paradise awaits in Itopia, a gated community in the highly desirable centrally-located Gandy area of NE St. Pete, with quick access to Tampa, Clearwater, downtown St. Pete and even the beaches. But you'll never want to leave home with all the amenities this community features - TWO pools with spas, a clubhouse with theatre room, business room, patio dining, a dog park, fitness center, sauna, sand volleyball court and tennis courts - all surrounded by lakes with fountains and lush tropical landscape. You'll love where you live in this top floor, corner unit with its dual master/split bedroom plan, cathedral ceilings, screened front porch, storage closet and upgrades! New water-resistant laminate flooring creates a sleek entry into an open and spacious living floorplan that includes a remodeled kitchen with granite countertops, new stainless steel appliances, wainscotting in the dining area and a large pantry with in-unit washer/dryer. The perfect roommate floorplan or separation of guest/office space from living space, the 2 large bedrooms are each their own closed-off suite on either side of the central living space. Featuring large walk-in closets, upgraded bathrooms with new tile, vanities and low-flow toilets, these suites check everything off the list. With a home in a resort-style community like this - in the middle of amazing Tampa Bay - who needs a vacation?! Pet Restrictions: 2 pets allowed, total combined weight 65 lbs. Other pet restrictions, see HOA docs. No snakes.